Gaurav Sharma, Ph.D., Senior Research Scientist---Dr. Gaurav Sharma has more than eight years of experience working at the interface of engineering and biology. His research focuses in the areas of blood brain barrier (BBB) engineering, applications of brain computer interfaces for neuromodulation and rehabilitation and nanomedicine. At Battelle, Dr. Sharma is the lead investigator on the NeuroLife program and has led projects involving pre-clinical studies with brain and spinal cord implants for recording and stimulation, development of advanced rehabilitation and assistive neurotechnologies, as well as development of technologies for engineering the BBB for drug delivery to the brain. He has published more than 36 peer-reviewed journal papers, conference proceedings and book chapters. Imagine you are paralyzed, and are given the opportunity to regain control of a few key hand gestures. Which ones would you choose first? A tight fist? A handshake? How about a credit card swipe? 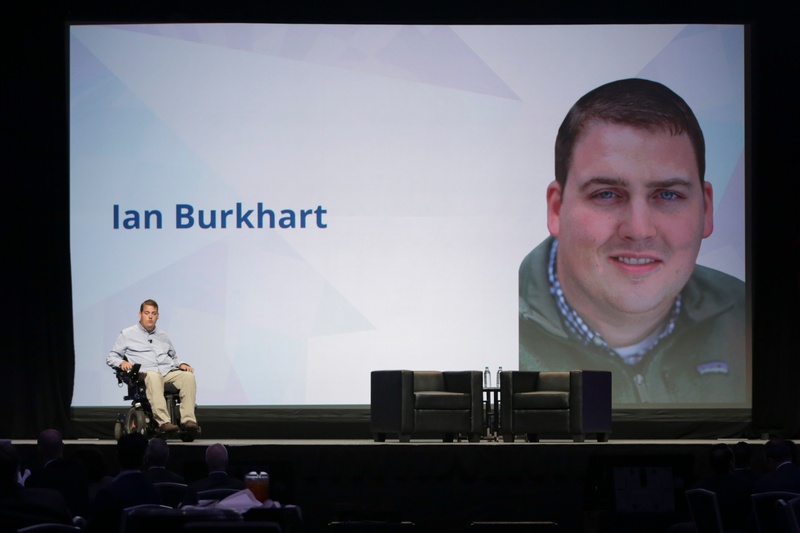 That was the surprising answer Ian Burkhart gave when researchers from Battelle’s NeuroLife™ team asked him what he would like to work on next. Ian, who was paralyzed in a diving accident in 2011, is the first person to test the NeuroLife technology. Using a chip implanted in Ian’s brain, a sophisticated computer algorithm that interprets brain signals, and a specialized sleeve that sends those signals to Ian’s muscles, NeuroLife has given Ian the ability to consciously control his hand, wrist and fingers.